In deepest Gloucestershire a secret way of life is clinging to a fragile existence. 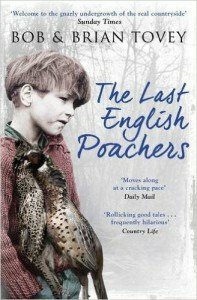 This is the world of the last English poachers – men who have lived off the land, taking game from the big country estates, risking the wrath of gamekeepers in order to feed their families and make a modest livelihood. Bob and Brian Tovey are poachers of the old stripe: a father and son of 75 and 50 years old respectively, who are continuing their ancestors’ traditions, reluctant to surrender the old ways of sourcing food from nature. John McDonald has obtained unique access to the men’s lives and histories, and tells their fascinating story in their own words. The book is filled with anecdotes both moving and hilarious, as their sense of self-preservation, mistrust of outsiders and suspicions of modern technology express themselves in daily life. It is set against the backdrop of country sports as they used to be – and colourfully explains the shoots, the once-legal coursing meets, the centuries’ old techniques of lamping, ferreting and netting and, of course, how the poachers outwit the keepers and police and escape with their quarry. It is a genuine, colourful and offbeat chronicle that documents rural life from a whole new perspective and a sense of humour.